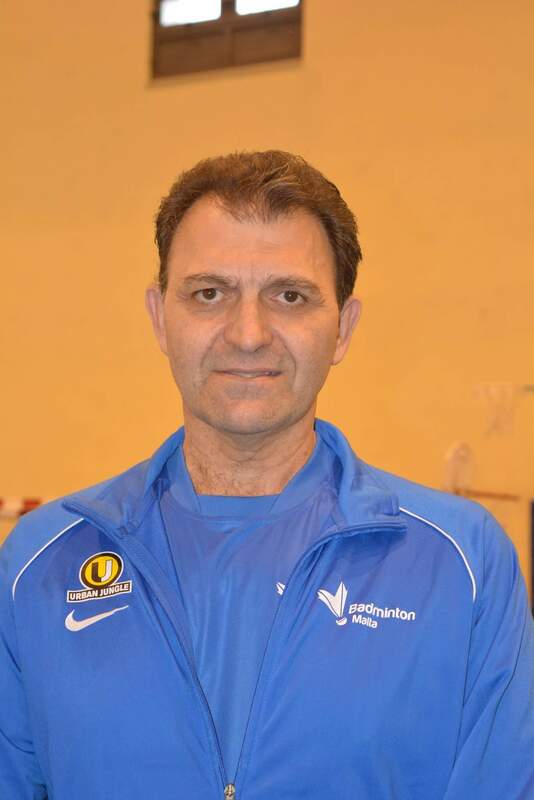 Martin Farrugia has taken Malta to no less than 4 Badminton World Championships, placing 2nd in the group in the 1995 edition, held in Lausanne Switzerland. I started playing badminton when I was 15 years old. I managed to win the Junior National Championships and was selected to take part in the 1977 Junior European championships held in Malta. I also managed to win the National Championships in all categories several times and was selected to represent Malta in various Internationals championships and Tournaments. I was a member and coach of several local Clubs who all eventually won the National Team Championships. I coached the Junior National Team for over 5 years and after which I was selected as National Coach with the responsibility to prepare the National team to take part in the “Thomas, Helvetia and Sudirman Cup and several World Championships to mention a few. Recently, I have also coached and accompanied several selected players to take part in International tournaments. Two of whom, my daughter and nephew, Fiorella Marie Sadowski and Samuel Cali, successfully managed to qualify and take part in the European Badminton Championships and European Games for the first time ever. The former again successfully qualified for the second consecutive time running, for the European Badminton Championships to be held in France this year. How long have you been involved in badminton? I have been involved in badminton for the past 42 years, as a player, head coach for the Government School of sports, Junior and Senior National coach, and I also was a member of several Clubs and a National Association Technical committee. Apart from their athletic capability, what do you consider when recruiting members for your team? When recruiting members for a team I also consider what I call the three D’s – Discipline, Dedication and Determination. You have to have these to succeed in Badminton. What are the biggest challenges you face as a coach? My first challenge will be to gain the trust of the athletes. They need to believe in me and the coaching methods that will be provided for them to succeed, within our limitations. Secondly, to develop a group of players with varying levels of physical, mental and Technical abilities to work together as a team and believe in themselves. What are your expectations for the participating player for the upcoming Championships? Fiorella will be participating in the Women’s Singles and Doubles. These are two different games all together. Understandably, Fiorella will find the going tough, and the plan will be to try and give a good account of herself in the Women’s Singles and possibly win a set or two in the Women’s doubles. If you get the chance to coach a world class badminton player, who would your choice be? I admire Lee Chong Wei, so obviously he will be my first choice. Do you like to play any other sport other than Badminton? I love to play and enjoy all types of sports in general, since I see them as another type of challenge and continuous development to my abilities. Things that you like to do while you are not playing Badminton? Well I don’t have much free time, considering that I coach at my club throughout the week and the National selection during the weekend. But whenever possible, I like to do the maintenance work in the house myself, and I love to draw. I also like to watch Science fiction films late in the evenings.